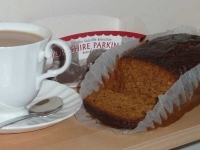 Parkin is generally a moist, and even sometimes sticky, gingercake – and is readily distinguishable from other (lesser) gingercakes by the high proportion of oatmeal and treacle used in its making. 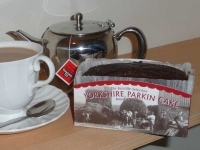 It is also said to keep well, though why you would want to do this with such a delicious cake I am unsure – however it is said that ‘connoisseurs often prefer to eat it slightly aged’. 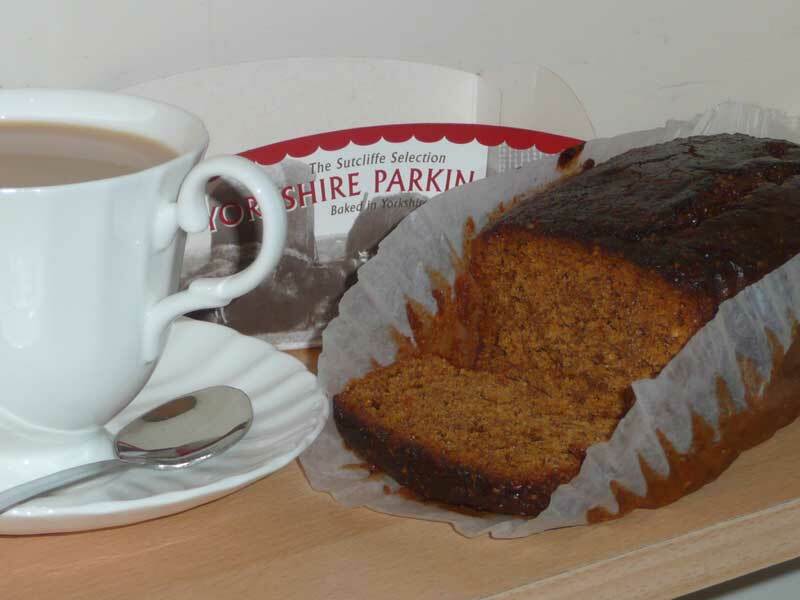 Parkin is also strongly associated with Bonfire Night, but after consuming the cake pictured above during mid May I am able to confirm that it can also be enjoyed at any other times of year.